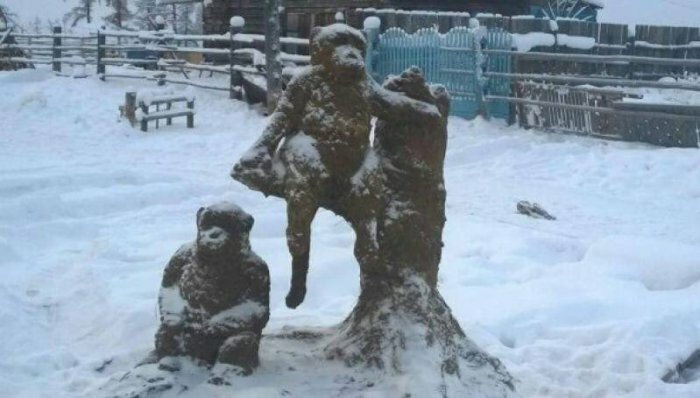 A Siberian artist struggling to find a material he could work with in freezing temperatures is making his sculptures out of poop. 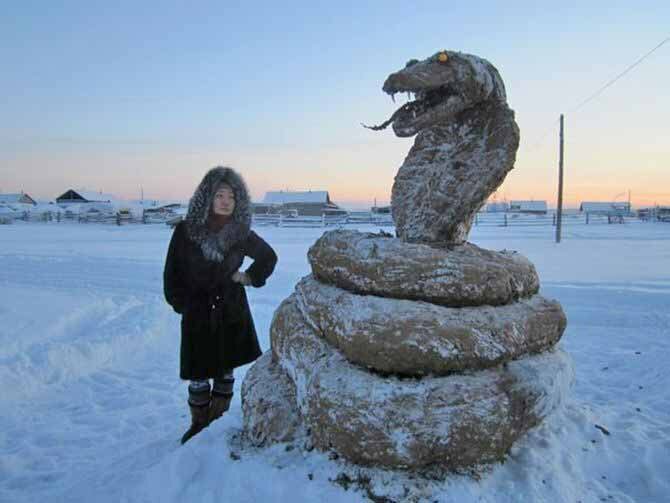 Yes you read that right – Mikhail Bopposov, who lives in the Sakha Republic, in Russia’s Far East, makes giant sculptures out of manure, cow poop. 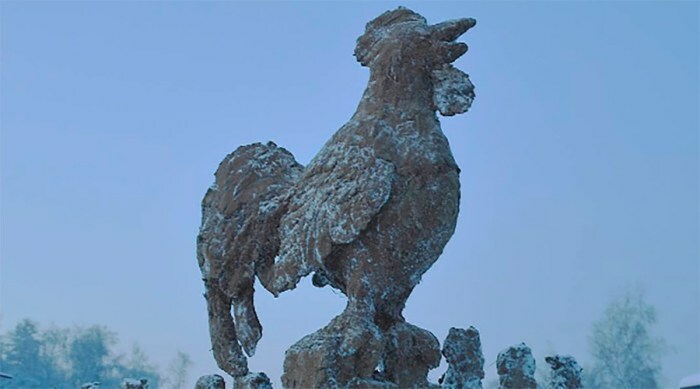 Bopposov is a a retired government, who turned to his cows’ waste product after other sculpting materials failed to bond in the freezing temperatures – Sakha’s average winter temperature is minus 35 degrees Celsius. 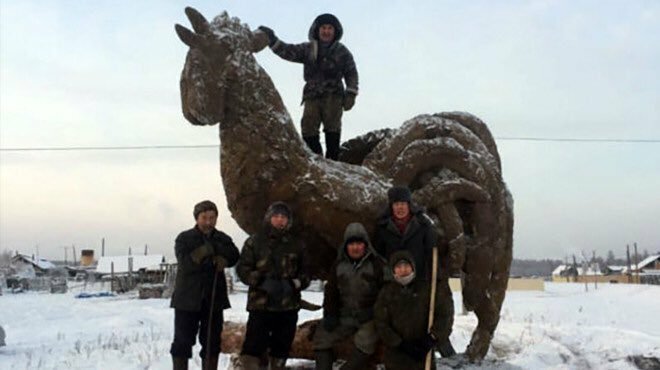 Bopposov started making his giant poop sculptures in 2008 and now his weird scatological art works have become a local tourist attraction. The best street graffiti ever?